Many international authors have come and gone to the Philippines but only just recently did some fabulous New Adult rockstars come to meet their Filipino fans! 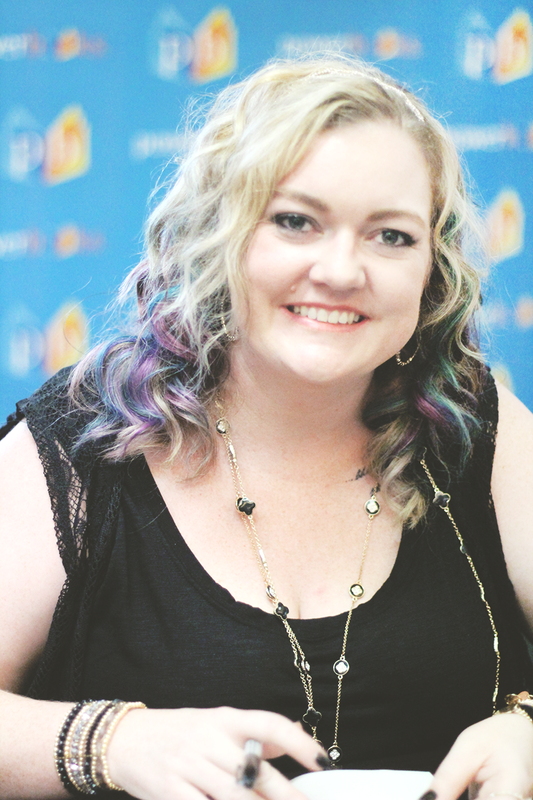 Last weekend, Colleen Hoover, Tarryn Fisher and Christine Brae rocked Cebu and Manila and signed thousands’ of books, at their book tour event hosted by National Book Store. If you guys don’t know, I’m a huge CoHo fan and meeting her was truly a dream come true. It was so great to meet Tarryn Fisher and Christine Brae too, who were both sweet and friendly. But I’m getting ahead of myself now. Let me share with you the full experience! Tarryn doesn’t know that she can co-author with anyone else aside from Colleen. Both authors easily enjoyed writing their Never Never series. Christine thinks self-publishing is a lonely process. While it’s an experience, it’s one that you do by yourself- providing your own resources, having your own editors and finding your own readers. 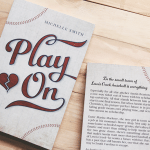 Tarryn loves that self-publishing allowed them to create their own success and show everyone that they could [do it]. For Colleen, self-publishing is a life-changer and she likes not having a boss but thinks that for it is difficult for new authors to break into it. With finding inspiration for her stories, Colleen develops her characters first before the plot line. 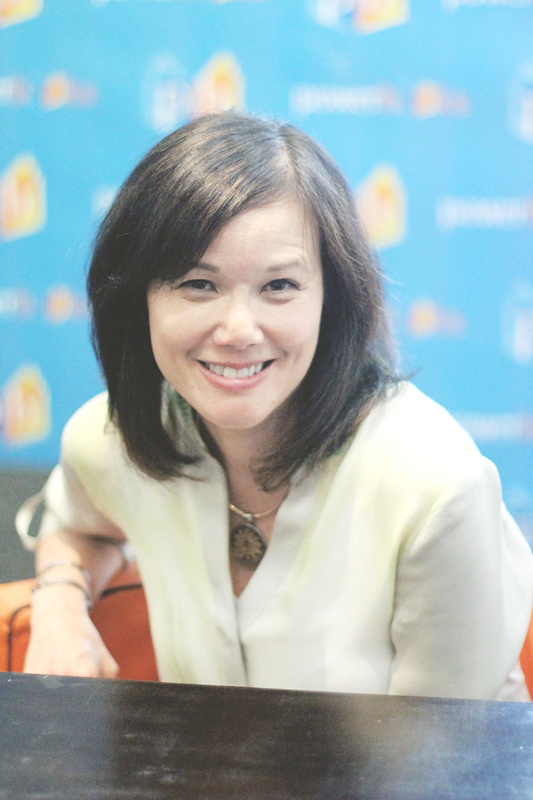 Having 12 books out in a span of 4 years, it’s difficult for her to write a story that’s new and fresh and not like the last one. Exciting tidbit about November 9: It has the biggest twist since Hopeless. 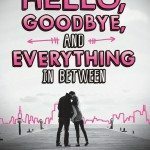 Colleen explained that she didn’t know that she decided to write a New Adult book as she leaves the genre to the publishers. Tarryn waits to feel something and runs with it as she writes. A whole book forms around the emotion she’s currently feeling. She also writes everyday and puts herself in the mindset of her characters, joking that if she’s writing a serial killer, she kills people on the street all day long. (This woman is so funny!) She thinks this makes her writing more authentic. Colleen doesn’t have a writing schedule but likes to lock herself up for a few days to write. She mentioned that she can’t end her writing at a sad scene because she’ll feel that way until she continues the scene, which is why she insert bits of humour in her books so she can take a break. Christine reads the ending of every book she ever reads. *gasp* So when she starts writing, she always knows her ending. She also chooses character names with meaning while for Tarryn, it just falls into her head. Colleen cannot start a book until she knows a character’s name. She also thinks that it’s very important to choose a guy’s name that isn’t out there yet. I asked Colleen how music plays a role in her process and she answered that it does play a huge role especially when she’s trying to develop a story in her head. For November 9, she was listening to Unsteady by X Ambassadors. She’s also currently listening to 21 Pilots. Colleen also shared that The Avett Brothers inspired her to be a writer when she heard these lyrics at their concert: Decide what to be and go be it. Believable characters, a good story, strong beautiful words are what makes a great book for Tarryn. She thinks developing a style is really important. She recommends reading as much as you can then incorporating pieces of what you love into your own style. Tarryn likes to write about bad people and trying to take a new perspective on them. 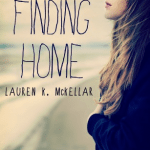 Since she started writing, Colleen feels like she lives in a fantasy world, only visiting her house every now and then. Living in her head, she thinks writing makes you crazy. 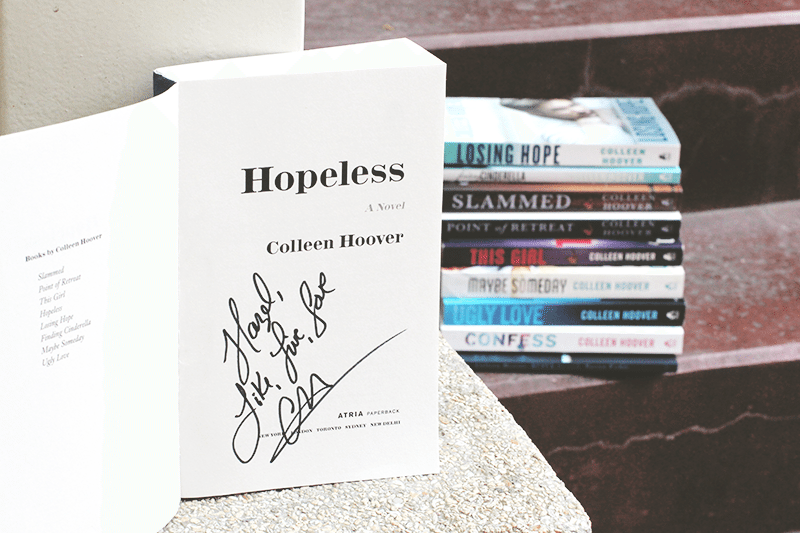 Colleen’s ultimate writing goal is to make herself happy with the book she writes. For Tarryn, writing is a selfish process because she doesn’t care about anything else except for writing what she wants. These two are fricking adorable! 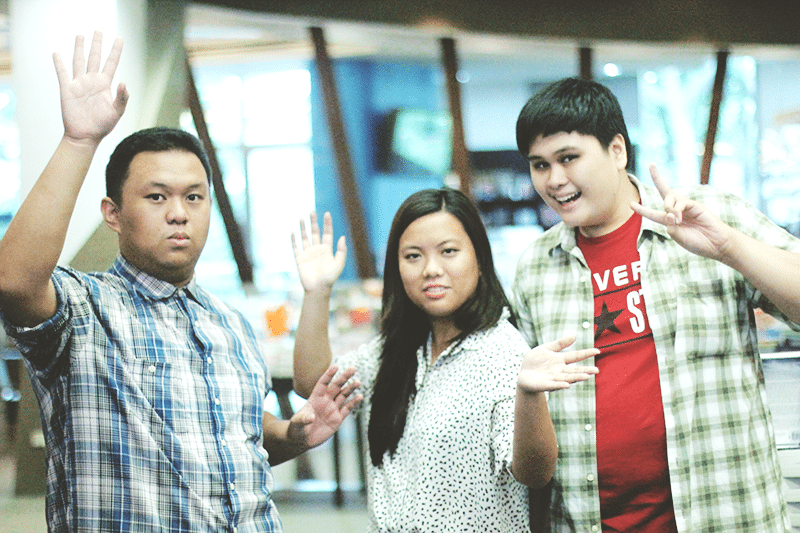 If you missed last weekend’s event, you can still see these NA rockstars at MIBF on September 19! As always, huge thanks goes to National Book Store for hosting awesome events. Make sure to follow them on Twitter to see their updates and announcements! Are you a fan of Colleen, Tarry or Christine? Which New Adult authors would you like to meet one day? 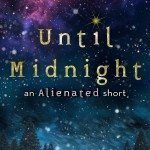 I loved this post, and I love these authors! Thank you for the giveaway! Yay! You’re very much welcome! This event looks like it was a lot of fun! I just started reading Colleen Hoover books and I am liking them so far! I loved hearing about their opinions on self publishing. Also, beautiful quote posters! These events look like so much fun. I love the pictures and hearing about who was there. I love reading your event recaps so much Hazel. (I secretly hope you go to more events just so I can read your recaps on the blog, I’m a horrible person.) I only ever read one of Colleen’s books but she wrote a quest post for my blog once and she was completely lovely to interact with and so enthusiastic to help <3 So I'm a bit jealous but also happy you got to meet those three! It is so exciting when you meet one of your favourite authors. Glad you got to meet Colleen. Wonderful post, Hazel! 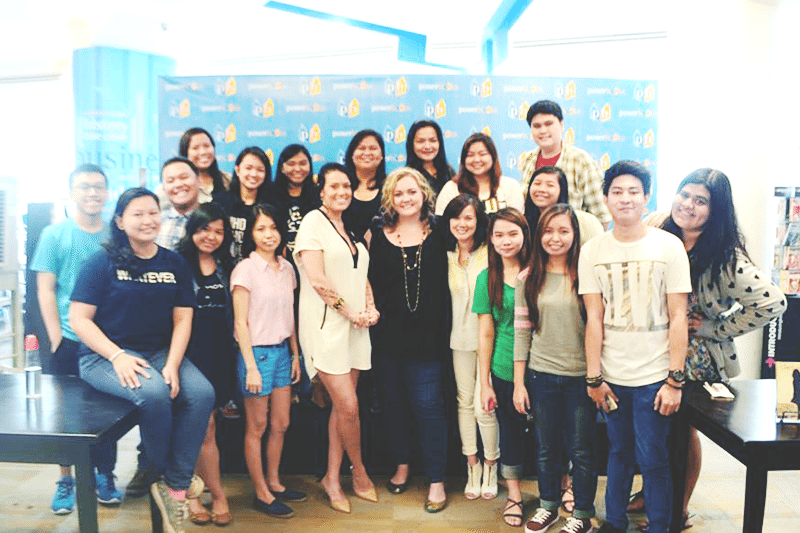 #CTCinPH is definitely one of the best book signing events I have ever attended. 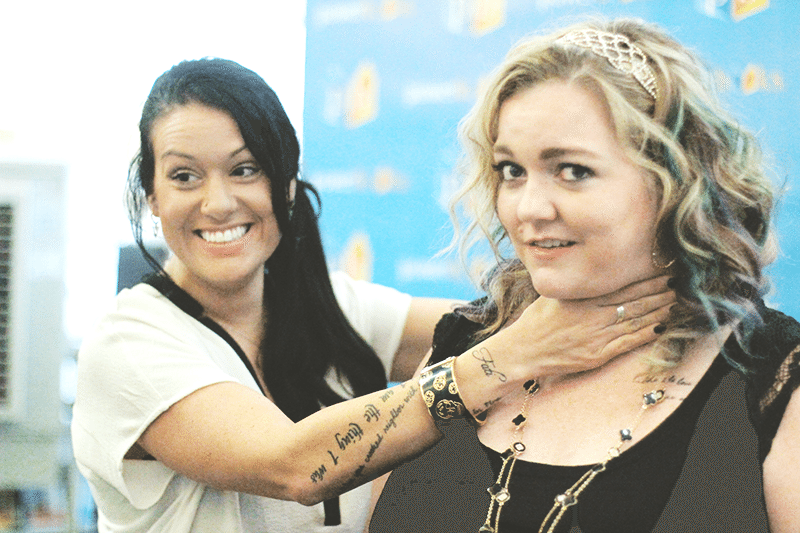 <3 Colleen Hoover and Tarryn Fisher are so adorable! Such a great opportunity to meet them. I won’t get to meet them this time but I’m so happy for you!! You are so luuuucky Hazel!!!! I really really want to meet Colleen but I live 2 hrs away from Manila and I’ve got tons of schoolwork. Thank you for the giveaway! You’re so lucky to meet them. They’re all gorgeous. I’ve wanted to read CoHo books cause I heard that all her books are totally good! I loved this post, you are so lucky you got to meet them. Hopefully I’ll be able to one day. A few days ago I went on a frenzy and buyed most of the ebooks by CoHo, but not this one. It would be so awsome if I get a chance to win. And love your posters, they are so pretty and beautiful. This was wonderful; getting to know more about the authors. I love Colleen especially, and to know that you enjoyed her books as well, and that you’ve met her, has left me overjoyed. Sometimes I dream of meeting you two and just chatting over whatever we want to eat. 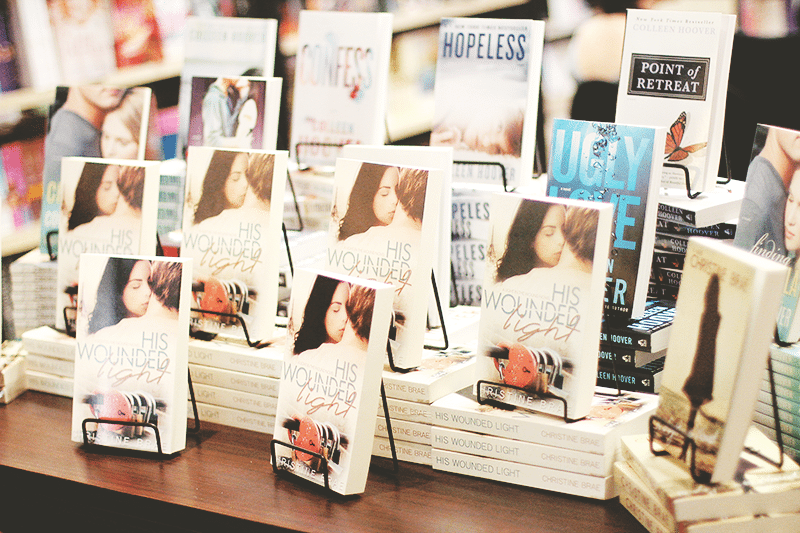 I am so jealous and everything :((((((((((( I really want to go to the book signing but I can’t because of schoolworks and I dont have enough money to buy books as of now huhuhuhu there are a lot of expenses hays but I’m really happy for you Hazel that you met them <3 So, I'm really looking forward on winning this giveaway to release my sadness and bitterness hahahahaha :((( thanks by the way!!! Aw :( Let’s stay hopeful that there’ll be a next time! What an incredible event, Hazel! I saw some of the videos that Colleen posted and the response from the fans there was just amazing! Meeting an author whose work means so much to you is very special. Out of my three favorite authors, I have met two of them. Only Colleen remains. Hopefully one day soon I’ll get to change that. Glad you were able to meet them all and have such a memorable time! 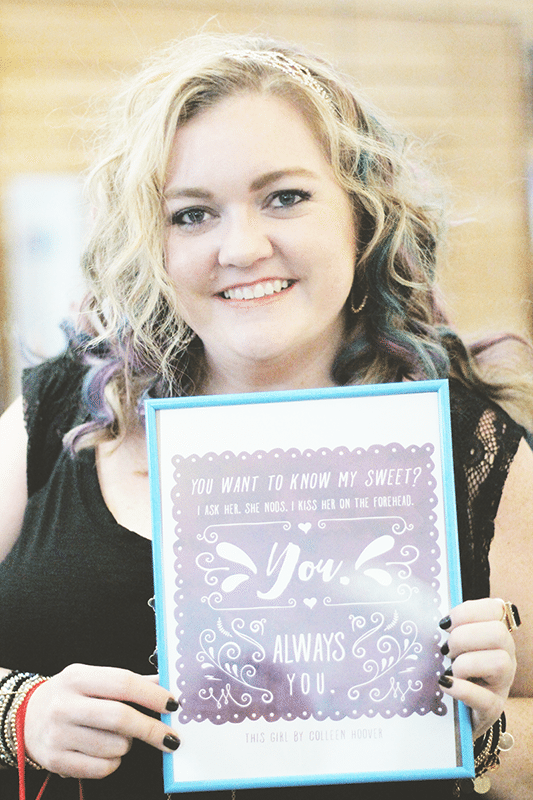 The quote posters are GORGEOUS!!! <3 So happy you got to meet them! Colleen's hair is fab. 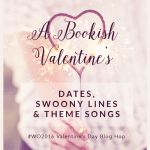 I love when bloggers share the book events they attend since we don’t have anything like that near where I live, so thanks for sharing. I really enjoyed reading the Q&A, it’s interesting to see their thoughts on self-publishing, and their writing process. Great blogpost! CTCinPh is my first booksigning and I don’t regret losing sleep. 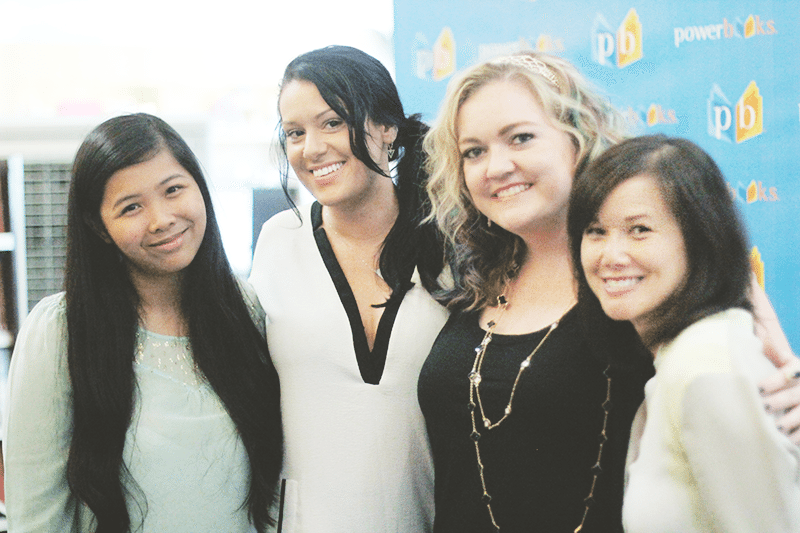 It was so great meeting these beautiful ladies and gracing their signatures on our books. I’m such a huge CoHo fan. Thank you for sharing their interview and also for hosting this giveaway. You’re so lucky!! I did not get a chance to attend the book signing here in Cebu. 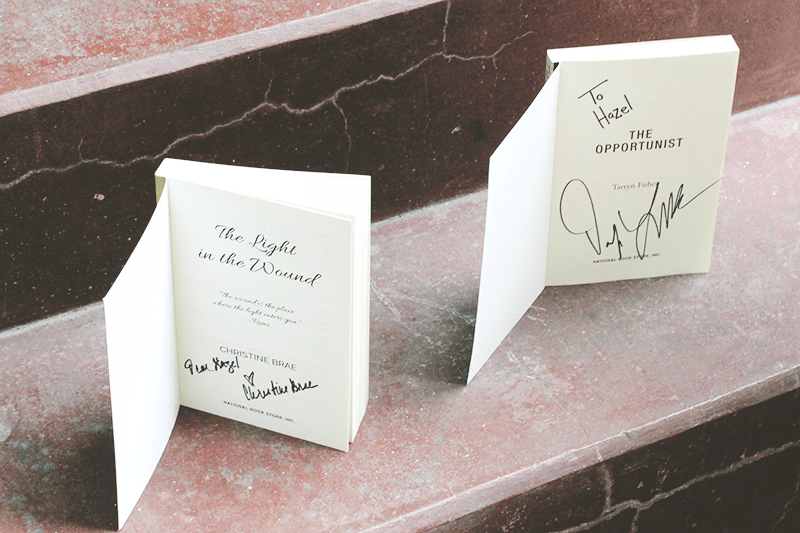 Thanks to you I got to know them a little more and have the chance to have a signed book. Thank you so much for the giveaway! *chants* must not be depressed. Congrats on getting so many books signed! so jealous!!! Thanks so much for the giveaway! What’s there to say? 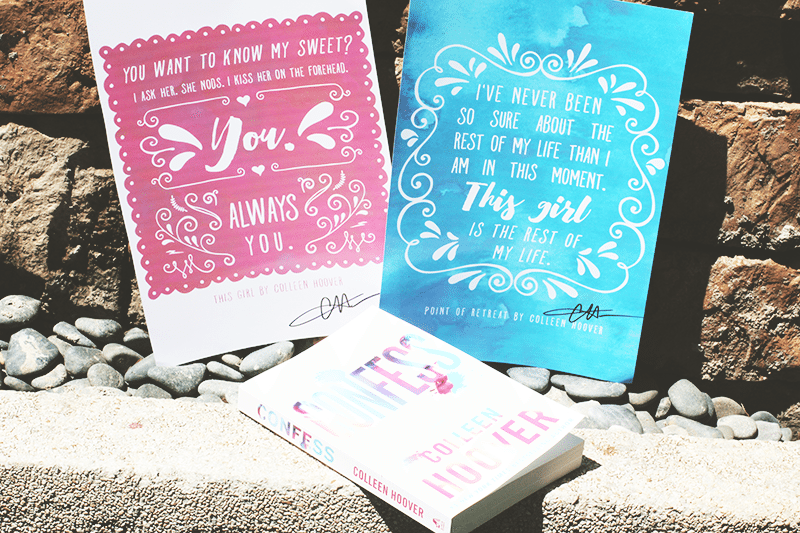 I love CoHo and her writing style, her caracters,… She’s the queen! Thank you Hazel for this recap! I’m very happy that you were able to meet and greet them which is so #bookish goals! Heehee. I am so jealous you got to meet Coho!!!! Awesome! I`d love to meet Collen one day. She is an amazing person!